Viking Ocean Cruises is giving guests the opportunity to travel the world. The luxury cruise line recently announced its new Ultimate World Cruise itinerary. The 245-day sailing will be the longest-ever continuous world cruise. Guests on this magnificent eight-month journey will depart from London on August 31, 2019 aboard Viking Sun. The Ultimate World Cruise will be Viking Cruises’ third voyage around the world, and will almost double the length of previous world cruise itineraries. For guests who can’t commit to the 245-day voyage, Viking Cruises’ will also offer two shorter segments within the longer sailing. Guests can opt to sail the Viking World Treasures itinerary, a 127-day sailing from London to Los Angeles that visits 33 countries and 61 ports, or the Viking World Wonders itinerary, a 119-day sailing from Los Angeles to London that visits 29 countries and 61 ports. 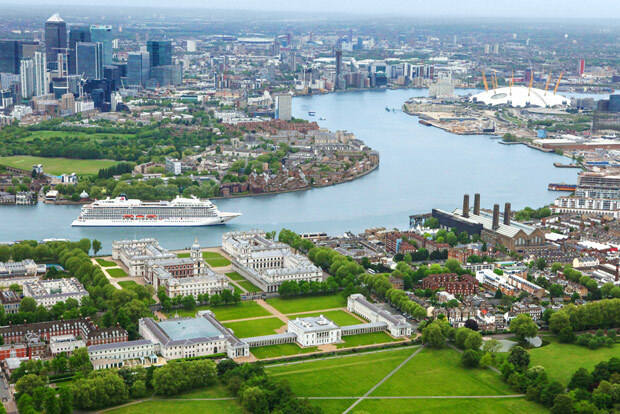 London at Your Door (Greenwich, UK): Guests will dock in the historic Royal Borough of Greenwich, London, and will have easy access to London’s iconic sites, including the Houses of Parliament, Big Ben, Westminster Abbey, and Buckingham Palace. Peak of Brazilian Culture (Rio de Janeiro, Brazil): Rio is one of 22 overnight stays on the itinerary and this gives guests ample time to explore this beautiful city. Go witness the larger-than-life Christ the Redeemer statue or relax on the scenic beaches of this cosmopolitan city. End of the World (Ushuaia, Argentina): Ushuaia is located on a steep hill on the southernmost tip of South America and is commonly known as the “End of the World”. Guests visiting this gorgeous city will love exploring the lush scenery through excursions to the Tierra del Fuego National Park or nearby Fagnono Lakes. An Island of History and Wilderness (Hobart, Tasmania): Hobart is the capitol of Tasmania, Australia’s island state, and gives guests the perfect opportunity to learn about its aborigine history and explore the unique wilderness area – including Mt. Wellington. Vibrant Saigon (Ho Chi Minh City, Vietnam): There’s no place quite like Ho Chi Minh City, with its mix of modern skyscrapers, French colonial buildings, and ornate palaces, and its offers a variety of experiences for guests. Some places to visit are the Cu Chi Tunnels, the War Remnants Museum, Notre Dame Cathedral, and the Reunification Palace. The Front Door to India (Mumbai, India): Mumbai, formerly Bombay, should be a stop on every visit to India as this bustling city is the financial, commercial, and entertainment capital of India. Guests visiting this great port can learn about famous activist Gandhi at the Mani Bhavan Gandhi Museum and visit the Hanging Gardens – one of the few parks found in this busy city. 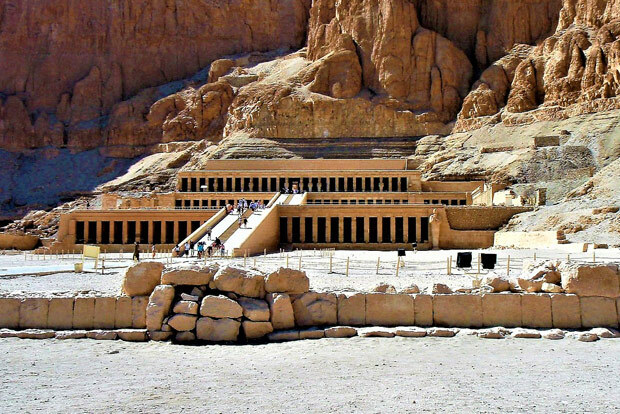 Temples and Tombs (Luxor, Egypt): As the site of the ancient Egyptian city of Thebes, Luxor is one of the most important cities in human history. Guests visiting this great city will find plenty of historical monuments to explore, including the Temple of Karnak and the Valley of the Kings & Valley of the Queens – which is the final resting place of the Pharaohs and their wives. And there’s so much more! This cruise is for travelers who truly want to see the world while living in comfort and luxury. Guests on the Ultimate World Cruise will receive a complimentary shore excursion in each port, free and unlimited WiFi, Business Class airfare, and more. If you have been waiting to travel and see all the destinations on your bucket list – now is the time. For more information about this 245-day Ultimate World Cruise aboard Viking Sun, or any other Viking Ocean Cruises sailings, please call The Cruise Web today at 1-800-377-9383 to speak with an expert cruise consultant. Thanks for your comment. Actually, starting at $92,990 per guest, the Viking World cruise is quite reasonable for all that it includes. 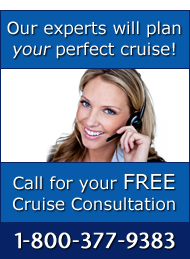 Passengers on the world cruise will receive a complimentary shore excursion in each port and free unlimited Wi-Fi. Also included for world cruise passengers is business class flights to reach the ship, transfers, on-board gratuities, service fees and several other extras. Let me know if you have any interest in learning more! Thanks for reading our blog. The Viking World Cruise for 245 days starts at $92,990/person however I would recommend going up a few categories for a better located cabin and some additional perks. For this price point and length of time there is phenomenal value in the extra perks which include business class air, gratuities, beverage package and more. If you are interested in seeing the World while doing it in style and comfort without having to worry about anything along the way this is the best way to go. I will reach out to you if you are interested in learning more and thank you again for your comment. Is there an additional singles supplement for solo travelers? Is there a program available that pairs up solo travelers? Thanks for reaching out to us. Due to the high demand of this cruise, there is a single supplement for solo travelers. However, there is still a tremendous value here with all the extra perks such as prepaid gratuities, shipboard credits, gift shop credits, spa credits, and even a beverage package all included! While Viking does not offer any program to match up solo travelers, there are other resources that might help you. I would love to chat with you to discuss your priorities, expectations, and what you’re really hoping to get out of the vacation. Given the time and money you will invest if you take this vacation, it is important that we work together to make it the best possible option. Please give me a call at 1-800-377-9383 ext 409.
for each port, how long can we stay at each port? That is an excellent question! Whereas the majority of the ports-of-call will be for 1 day, many of the most interesting and popular ports will include overnight stays with 2 or 3 days in the port. Here are the ports where the ship will stay in port for more than 1 day: Bergen, Norway (3 days); Montreal, Canada (2 days); New York City (3 days); Hamilton, Bermuda (2 days); San Juan, Puerto Rico (3 days); Manaus, Brazil (2 days); Rio de Janeiro, Brazil (2 days); Buenos Aires, Argentina (2 days); Port Stanley, Falkland Islands (2 days); Santiago, Chile (3 days); Los Angeles, California (2 days); Papeete, Tahiti (2 days); Auckland, New Zealand (2 days); Sydney, Australia (2 days); Manila, Philippines (2 days); Hong Kong (3 days); Ho Chi Minh City, Vietnam (2 days); Bangkok, Thailand (2 days); Colombo, Sri Lanka (2 days); and Valletta, Malta (2 days). All other ports will have a single-day visit, which will generally be from morning to night, such as 8AM – 5PM or similar. I would love to speak with you at length about the details. As your personal consultant, I will work with you every step of the way to ensure that you make the most of this incredible experience.